Superb Lyrebirds – what a great bird! These fantastic songsters have even caught the attention of the great Sir David Attenborough himself with their amazing ability to mimic other birdcalls. But that’s not all they can mimic. It seems they can replicate almost any sound that is repeated often enough in their midst – from chainsaws to camera shutters to car alarms and horns. There seems to be no limit to what they will attempt to copy. 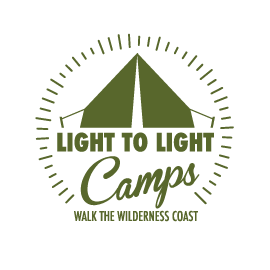 We pamper our Light to Light Walk guests on overnight camps at Saltwater Creek campground and the Lyrebirds there are more comfortable with humans than many. But we were still wowed when this pair came within metres of camp and while one male just ignored us and kept digging for dinner, the other began a serenade that went on for minutes. It was intriguing to watch its beak shape change as it went through a repertoire of kookaburra, whipbirds and more as it happily wandered past its friend. Note – these were two male birds (females don’t have such a pretty tail) so despite one spending the whole time with his magnificent tail feathers up, there didn’t seem to be any ladies around for him to show off to. Join us for the 31km Light to Light Walk. You walk and we do all the work including great food, good wine, a super comfy bed and a hot shower. What more could you want? Plenty of choices on offer. Walk it in 2 days or 3. Check out your choices here and give us a buzz.